Tea lovers unite, there’s now a brew shed and apothecary that’s decked out to cater for all your tea needs. 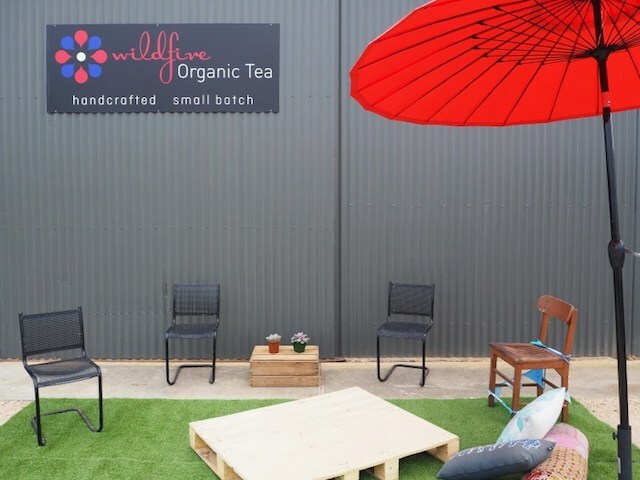 Wildfire Organic Tea is a beautiful tea company, run by a one woman show. That one woman is Jane Burke-tea lover, aroma and natural therapist (and soon to be Western Medical Herbalist), and all round beautiful lady. Her newest and biggest venture is now open at Port Elliot. 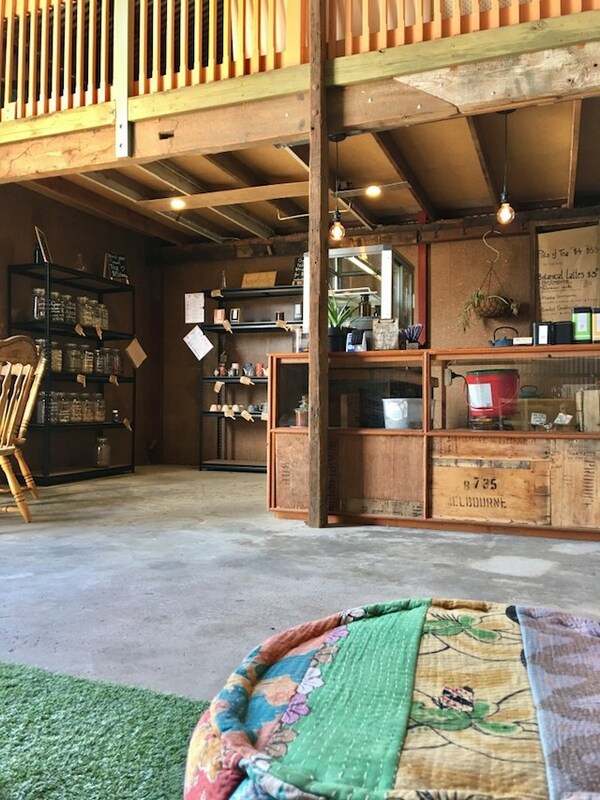 Hidden away in the industrial estate, her Brew shed and Apothecary is a decked out space, filled with vintage tea chests, recycled furniture, crocheted rugs and soft leather couches. 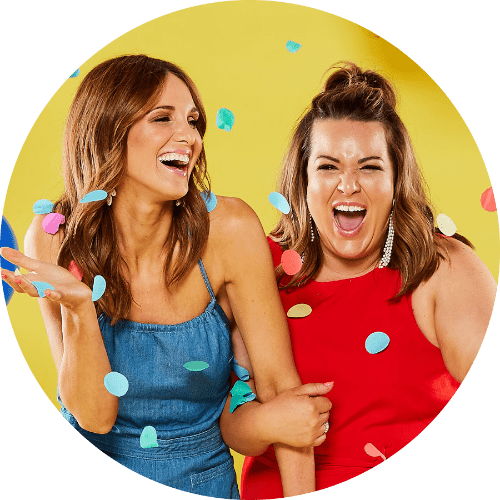 The vibe is relaxed, there’s always good tunes playing via the record player and they’re dog friendly – there’s plenty of artificial lawn out the front where you can park your pooch while you visit. No doubt you’ll find resident tea dog SooTEA out the front making herself at home. In terms of brews you can find the Wildfire range, as well as a range of Botanical Lattes. When we visited we dabbled in the botanicals and fell in love. She makes a mean Tumeric latte, as well as lattes made of Echinacea and Vanilla, Roasted Dandelion and Chicory (another favourite of ours) and Matcha. 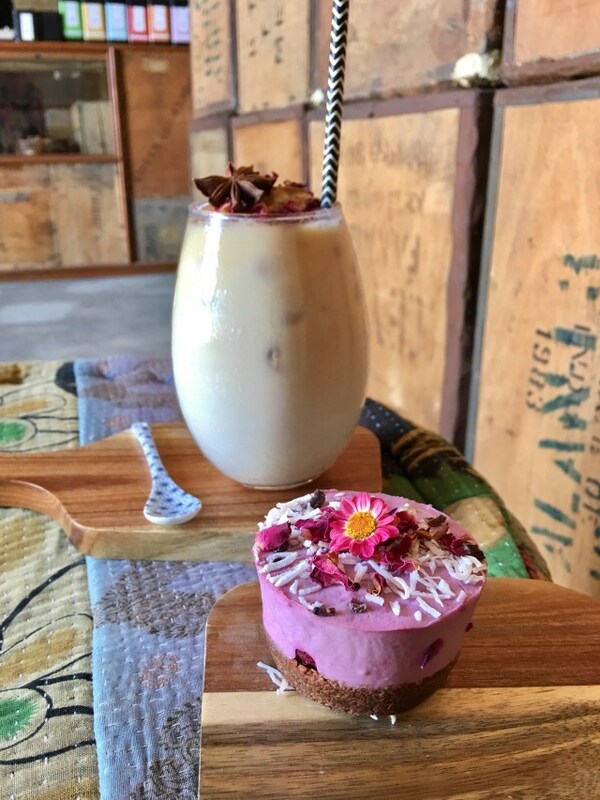 For when the weather is a little warmer her iced teas are a massive hit – the vegan chai latte with coconut ice cream is next level and by far the best iced chai i’ve ever had. If you’re feeling snacky, the tea shed also stocks a range of delicious range of raw treats made locally by small business Real Food Life. 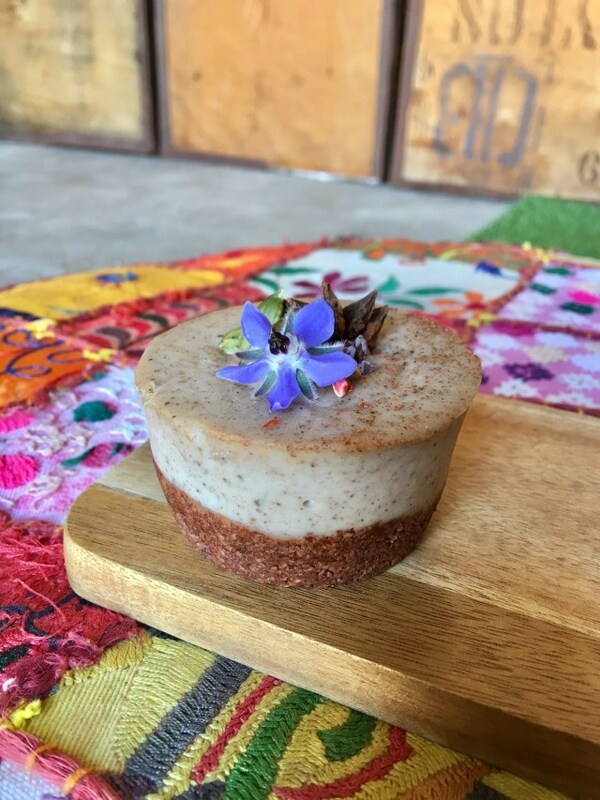 You’ll find chai pots, raw cakes in flavours like raspberry, peanut butter and mint, as well as slices (if I haven’t been and cleaned the place out). If you’re down south and looking for somewhere to have a brew or two and a sneaky raw cake check out this gem. It’s well worth the drive.